IMS have a long history of delivering turnkey projects on time and on budget. We are currently engaged in the delivery of a wide range of projects across a number of sites and differing sectors. Through our experience of working in partnership with our clients we possess a good understanding of varying cultures and their inherent values. In particular, IMS have aspirations of maximising priority on health and safety, and environmental sustainability with a view to reduce the physical risks to the public, employees and impact on the environment from our activities. IMS has enjoyed much success in our product delivery to clients and is proud to list a number of marked achievements. 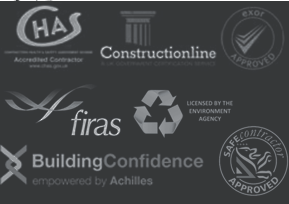 Our control measures over building users and employee safety is managed through a number of tried and tested processes that have produced a history of our being incident and injury free. Our ability to monitor and review the delivery of our projects enables performance adjustments in our methodology that allows continuous improvement to flourish within our team. Motivate and foster ownership of the services by anyone representing IMS on your project. Look for improvements and propose them for consideration. Our unique ability of working closely with our clients and our successful track record and experiences make us an enviable partner. IMS offers a scope of services that span across a range of private and public facilities. Each project holds a number of challenges for us to overcome in order to deliver a quality service under varying constraints. We retain exceptional staff with exceptional competence; the majority have been in our service over a long period of time. Our staff members remain highly motivated and ready to rise to each of these challenges; this has raised our company reputation to be held in very high esteem by our clients. In each of our undertakings we avidly strive for consistency in our quality control, to be clear and transparent in what we do and provide excellent value for money in our delivery.